It's the last day of half-term and it has been a really poor one. I should, in retrospect, headed out west to Corvo but you shouldn't look back with much anger. Instead, I came off Shetland on Wednesday night due to the onset of westerlies and a bit of work I needed to do back in London. The last day on Shetland, Wednesday, I decided to head west again to an area I'd not really explored. And it was a delight, with loads of habitat and obviously no birders. 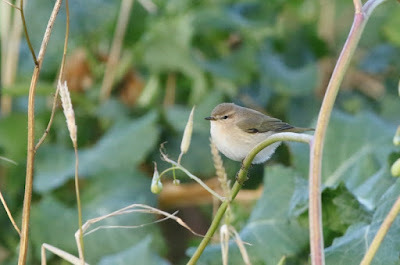 And at Dale of Walls, there weren't really any birds! Just a few crests but also loads of thrushes piling through. As well as the odd Brambling. I headed around after this to the small village of Walls, parked by the quayside at Pier Road and had a wander. 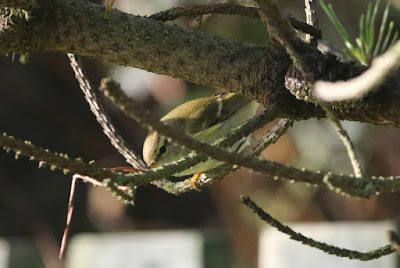 I was mildly contented to find a Yellow-browed Warbler in one of the gardens, my second of the five days, and fairly welcome considering I saw none this time last year. 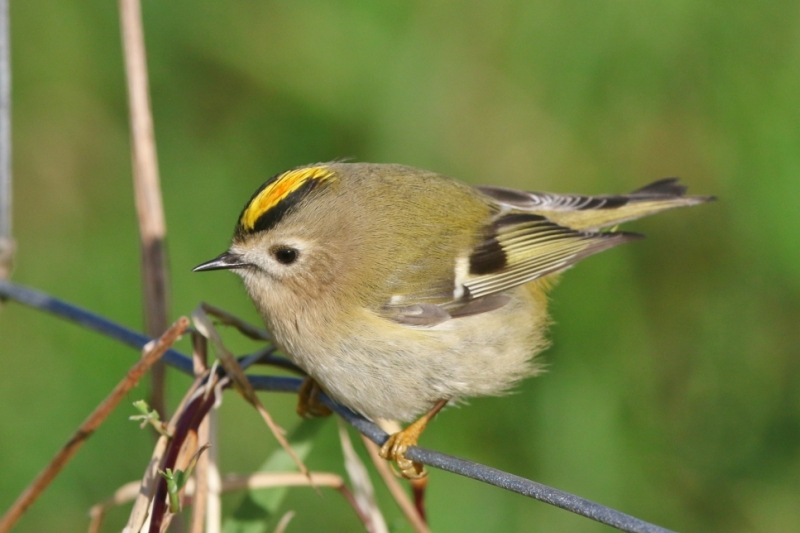 After they occur in almost abundance in late September and early October, numbers considerably tail off by this time of year! After having a whack around Walls, where there were three typically interesting looking Chiffchaffs, I headed back east and stopped off at Tresta. I'd done a little bit of research, and all the birds here in the past seemed to be in the gardens by the methodist chapel. 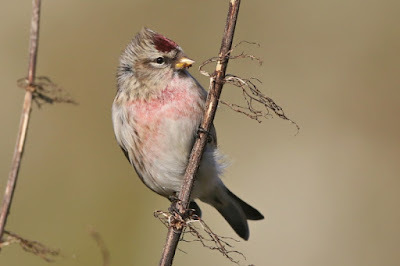 And so I stopped here for a gander - another 'eastern-type' Lesser Whitethroat was pecking about on the lawn, and there were a few Chiffchaffs too and a couple of Lesser Redpolls. And that was that. 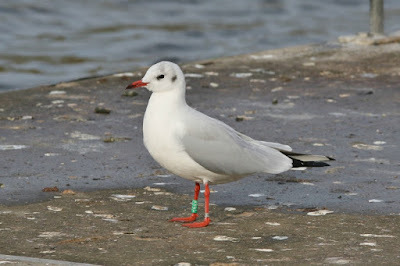 Having got back to Aberdeen for 6pm, I was back in London for 3am and out with the gulls a few hours later. Unfortunately, the last few days in London for gulls have been really poor for some reason and so I couldn't find a Caspian Gull for love nor money! 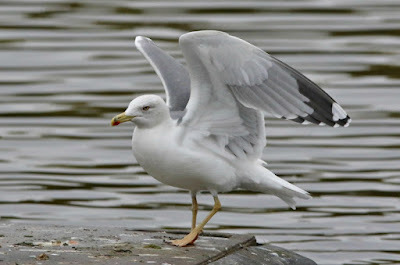 Thursday's highlights included seven Yellow-legged Gulls (five at Thames Barrier Park, a 2nd-winter at the O2 and then a showy adult on Greenland Dock) while Friday was even more of a struggle with a couple of numpties on the beach at Thames Barrier Park, which was a site first for me, meaning no gulls there and just single first-winter Yellow-legged Gulls in Rotherhithe and at Creekmouth. 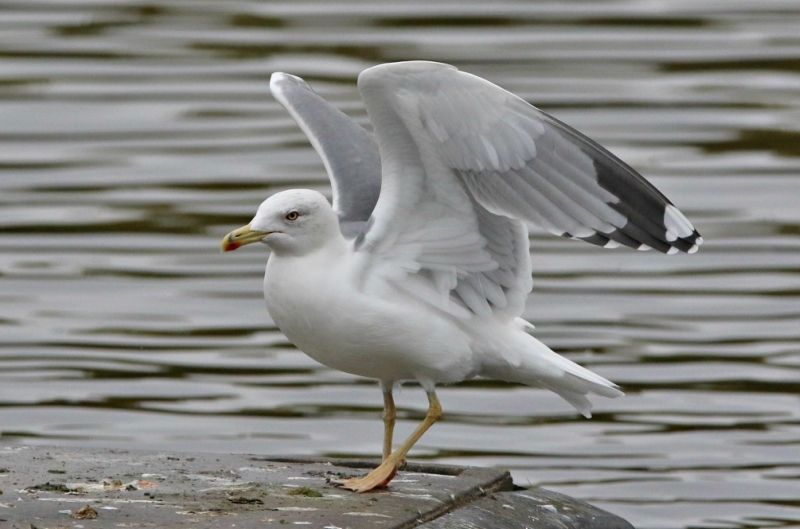 Yesterday wasn't that much better with four Yellow-legged Gulls at Thames Barrier Park and the adult Yellow-legged Gull once again showing nicely on Greenland Dock. 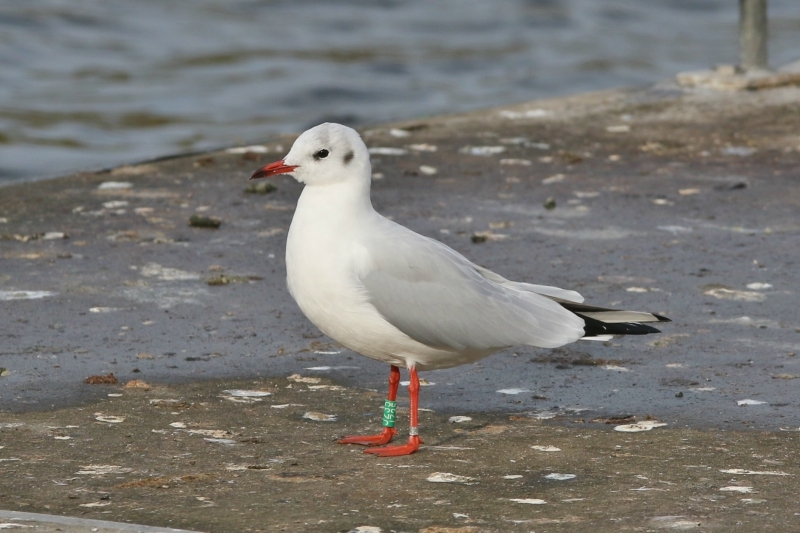 However, it was nice to see a returning Norwegian Black-headed Gull JZ35 back in Rotherhithe - ringed as an adult near Oslo in 2016, I saw it last here on 4th March 2017 before it was back in Norway from April to July this year.